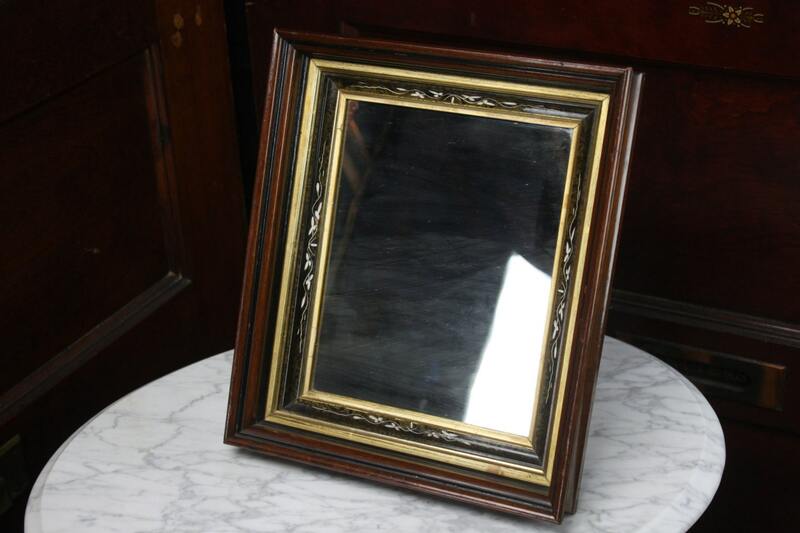 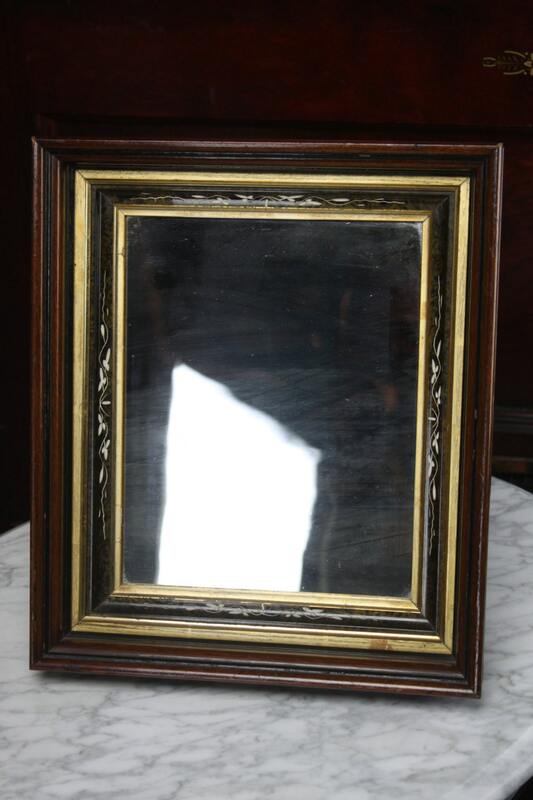 This beautiful victorian mirror is a prime example of 19th century American craftsmanship! 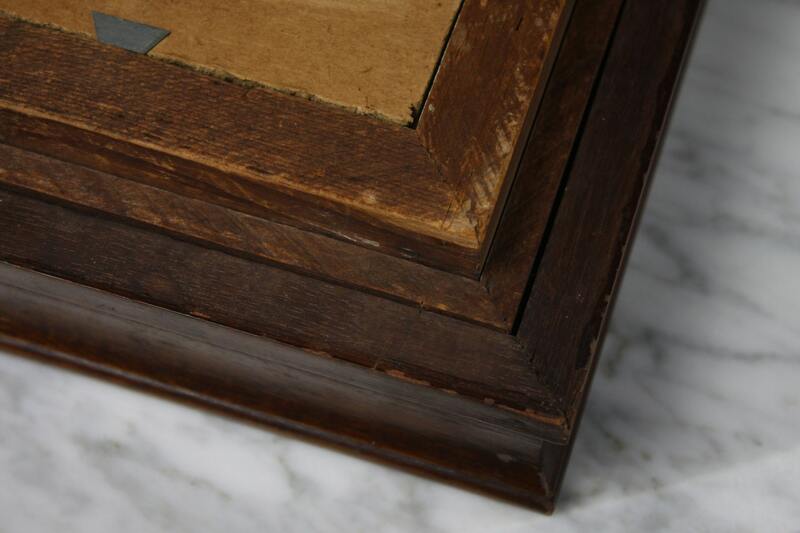 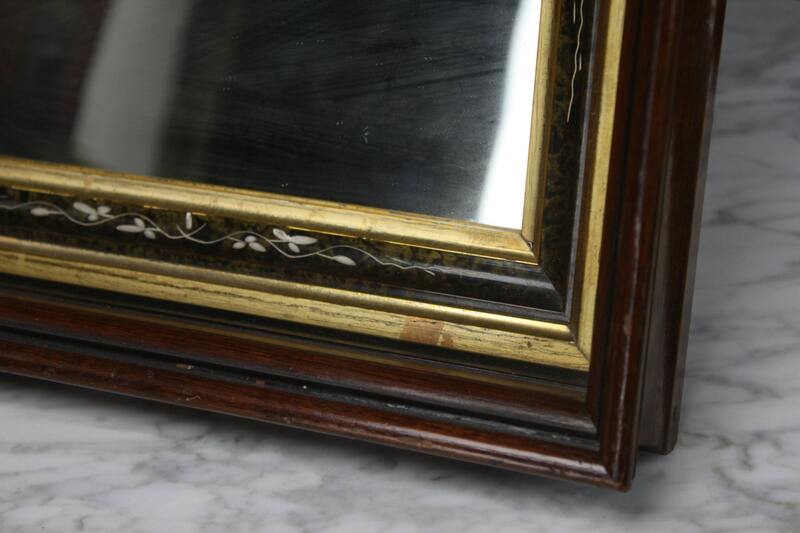 The stunning yet reserved triple frame is comprised of layer of alternating Gilt, Black Lacquer, Mahogany & Walnut. 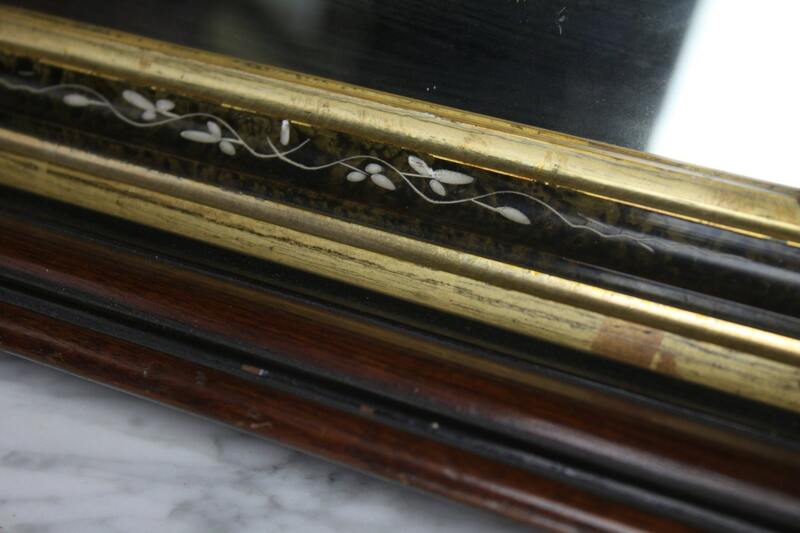 This mirror also contains an amazing mother of pearl inlay in the shape of floral crests.